Intercon Ladder Back Side Chair Kashi INKICH989C (Set of 2). The Kashi Ladder Back Side Chairs From Intercon Is Made From Select Hardwood, Mango Veneer and with Rough Sawn Acacia Inlays. 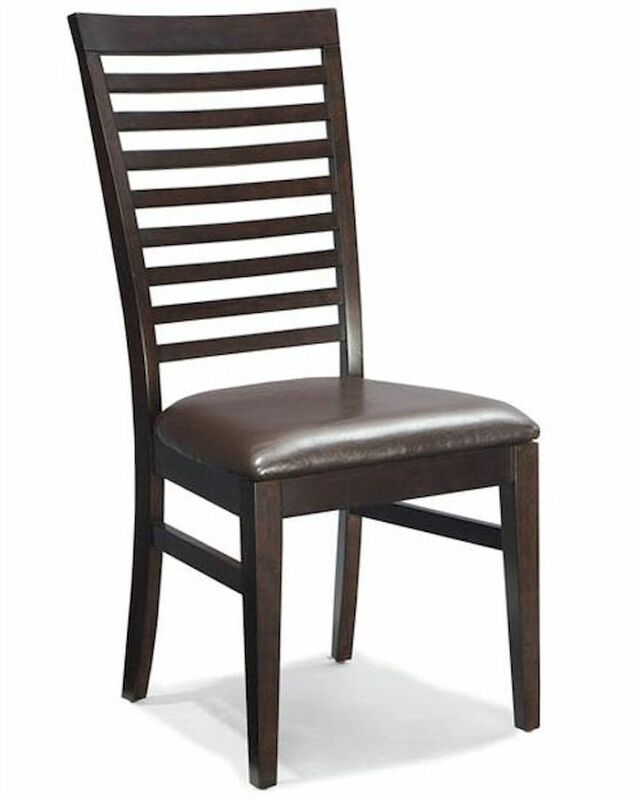 2 x Ladder Back Side Chair IN-KI-CH-989C-CHA-RTA. 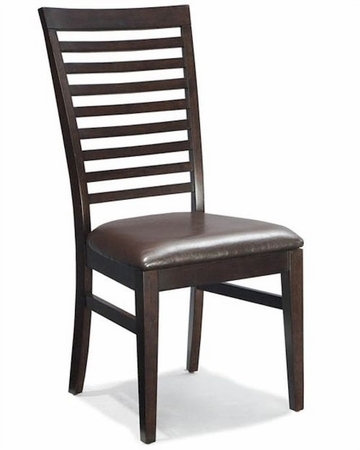 Side Chair - 20"W x 22"D x 40"H.
Constructed from select hardwood and mango veneer. Stylish ladder back chairs with PU chocolate cushion seat.